Having a slow PC day on one of the servers in our LAB. Unfortunately, it is a left over MS Windows 2003 Server. And, so I am thinking it could honestly be anything; including viruses. 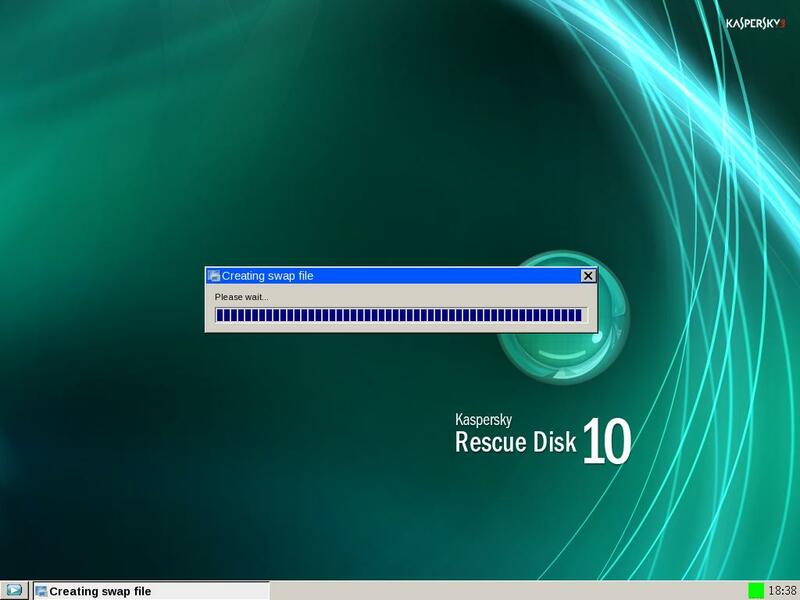 Brought out my old and very reliable Kaspersky Rescue CD. Rebooted the computer, as it is a Dell, clicked F-12 to access the “Boot into” menu. Clicked on a few other options to ensure that I will actually boot into the Rescue CD. But, as happens, more so lately, I am stuck again.. 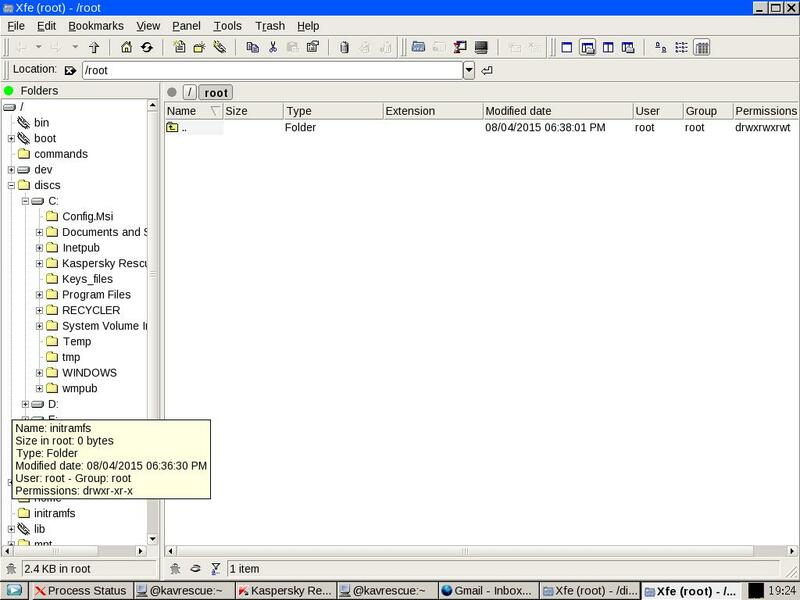 Via the Linux File Manager, X File Manager, that comes with the Rescue Cd, accessed each MS Windows Drive and removed obvious clutter. Btw, the underlying MS Windows folders are under the root\discs and are labelled C:, D:, E: based on the drives. Shutdown the Rescue CD, booted into Windows, and cleared more file clutter. Same error “Creating Swap file“. I love Lionel, but I am not rich. And, so time is money. The bottom right panel of the screen has an indicator that shows high CPU Usage. From that gauge, accessed the “Process Status” application. Note that we can also get tabulate the most expensive applications via accessing the Terminal mode, and running top. Noted that the process ID for the process that is creating the swapfile is 16201. The next step, post Swap file creation, kicks in. That next step is the Network Configuration. The Network Configuration is very important. Anyone in IT hears that call all too often. My PC is dead. Please help! All good options. But, another option is to make a rescue CD, snail mail it, and hopefully it helps. Once a system is infected with malware it becomes difficult to remove that malware as it is already embedded in the system and has control over many components which are key to the system’s operations. Malware, like rootkits, use system components to hide themselves and prevent other software from detecting or removing them. This is often the case of who gets there first; if the malware is able to get control of the system earlier on then it also has control over any software that may be run later. Besides just hiding, malware can also block the execution of other security applications. If you cannot install or run a security application in the first place then you cannot scan and detect the malware. The best time to remove this malware is when it is not running, but malware often starts with the Operating System, so we would have to stop the Operating System to stop the malware. On a shutdown OS nothing is running and malware like rootkits cannot hide themselves and so it would be easy to find and remove them. Here are some Vendors \ Products. As the tools mentioned here are trying to identify and address problems with MS Windows based install, they are apt to load and run within a foreign OS such as Linux. The Linux variant might not have a nice graphical, touched up interface such as Ubuntu. And, so if you ‘re thinking of sending it to Aunt Sally or Aunt Suzie, she might not take well to the general obtuse interface and rather live with the infection. The “PC Tools – Alternate Operating System Scanner” package was last updated on Dec 9, 2010. As time passes and the bundled Virus Signature ages, it might not be as effective against more recent viruses. Along the same lines per efficacy of the PC Tools’ Alternate Operating System Scanner Tool, it failed to run on a couple of machines. On the other hand, the Kaspersky tool quickly proved to be approachable and useful. 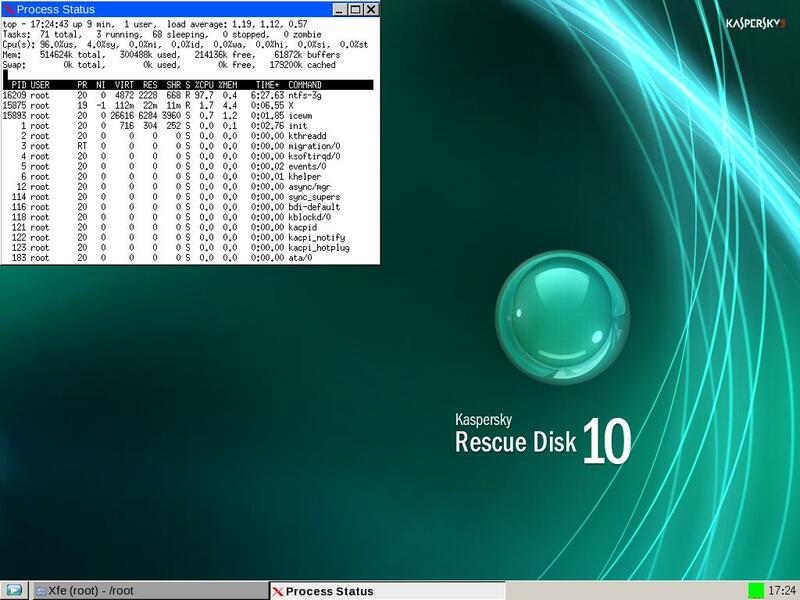 Upon booting up a computer with the Kaspersky Rescue CD, you will quickly see a very appealing desktop based on Gentoo Linux. The subsequents menus are easy to understand and follow. It is easy enough to choose which partitions you want to Scan. And, when you come to the critical junction of choosing which if any of infected files you want to heal, remove, or leave as is your choices could not be any easier.